Stuart, Florida — FailZero, a product brand of UCT Coatings, Inc., announces the world’s first lube-free upgrades for tactical rifles and handguns. As seen at the 2009 SHOT Show, these upgrades deliver an “active-weapon advantage” in critical situations by eliminating wet-lubrication component failure and ensuring optimum performance in all conditions. 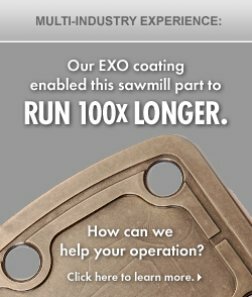 FailZero upgrade parts use breakthrough EXO Technology: a unique, patented treatment that creates permanent dry lubricity on metal surfaces, eliminating the need for grease or oil for the life of the part. Extensive testing by UCT, the Department of Defense, and other agencies reveal – and real-world use confirms — that firearms equipped with FailZero upgrades perform dramatically cleaner, wear far longer, and require less maintenance than those with traditional wet-lube parts. FailZero upgrades are in active use by law enforcement departments, security agencies, in SWAT and military applications, by U.S. troops in battlefield conditions, and by civilian shooting enthusiasts, trainers, gunsmiths and refurbishers nation-wide. 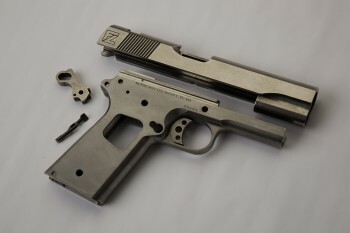 All FailZero parts are mil-spec quality and will properly fit AR/M4 rifles made by BushMaster, Springfield Armory, Colt, DPMS, Double Star, Stag, Kimber and others. Based on successful testing, demonstration and use with military departments, law enforcement agencies and commercial firearms manufacturers, FailZero expects lubrication-free weapons to become the standard for the future. UCT Coatings, Inc., owner of UCT Arms and FailZero, is a leader in the metal treatment industry and is headquartered in Palm City, Florida. For more information, and to order FailZero lube-free upgrades, contact UCT or go to www.failzero.com.